Forecast of 2016 revenue is $46 billion, 30% below 2015, due to poor semi-annual performance and asset sell down strategy. 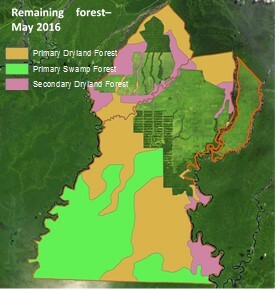 33% of Noble’s palm oil landbank is undevelopable as it is primary forest and possibly peat. Impairments of palm oil assets and coal receivables may reduce balance sheet equity value by $400 million, or 12%. Syndicate loan banks have been involved in the recent rights issue and are also involved in the divestment of North America Energy Solutions, suggesting a conflict of interest. Net profit outlook for 2016 and beyond is below consensus due to divestments and expectations for higher interest rates. Sale of assets needed for loan repayments will shave off 4.5%, or $25 million off remaining 2016 operating earnings, 18% annualized. In 2017, $2 billion of Noble Group’s (OTCPK:NOBGY) debt will mature with cash on hand at $1 billion and share issuance at $500 million. If Noble Group sells Noble Americas Energy Solutions (NAES) for at least $1 billion it could meet its upcoming debt repayments and achieve pro-forma net debt at 5.6 times EBITDA. Coupled with registering a net loss of $55 million for Q2 2016, the NAES divestment makes for revenue expectations at $46 billion. Balance sheet equity impairment of 12% expected due to asset overvaluation. Impairment of palm oil business can be expected at 1.5% of balance sheet equity, or $50 million, because 33% of Noble Group’s 69,000 ha palm oil landbank in Papua Province, Indonesia is undevelopable – as it is primary forest and possibly peatland. 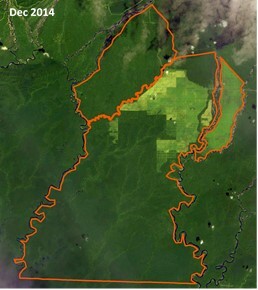 Noble Group is taking a risk by already developing the land which may prove a breach of Roundtable on Sustainable Palm Oil (RSPO) principles; its corporate buyers’ No Deforestation, No Peat, No Exploitation (NDPE) policies; its bank’s sustainability policies; and infringe the governmental circular on peat. Further 12% of accounts receivables may also be impaired due to overvaluation of coal contracts, suggested by Iceberg Research. In total, $400 million or 12% of Noble Group’s balance sheet equity may be impaired. Cost of debt may increase because of conflicts of interest and reputational risks. ING, HSBC, Morgan Stanley, DBS, and Société Générale are part of the 25 bank syndicate that provided a $1 billion loan to Noble Group in May 2016. In July 2016, the banks tried to minimize their risk exposure via underwriting Noble Group’s $500 million rights issue. HSBC and Morgan Stanley are also acting as advisors on Noble Group’s proposed NAES divestment, which would also reduce their risk exposure. As Noble Group is further in breach of its banks’ sustainability policies over deforestation, some of the banks may disengage. These two issues suggest that new debt costs for Noble Group may increase, driving further liquidity concerns. Credit rating agencies also suggest increasing costs of debt. Net profit is reduced as cost of capital increases. Expectations for higher costs of debt could decrease net profit for Noble Group by 9% to $136 million in 2016 and $104 million in 2017. This further increases risks for shareholders. Noble Group Ltd. is a supply chain manager headquartered in Hong Kong, involved in the commodity trading of oil, coal, metals (>99% of the business) and palm oil (<1%). Five years ago, Noble group was among the 100 biggest companies in the world by revenue, generating it by purchasing physical commodities, transforming and then trading them. Since then, its shares value have decreased 90%. For the fiscal year 2015 Noble Group posted its first annual loss in twenty years, losing $1.7 billion due to significant reported impairments. These corresponded to allegations of misleading aggressive accounting overvaluing Noble Group’s commodity contracts. The company explained the reported loss as a consequence of plunging coal prices and decline in price premiums, while coal prices have fallen 50% over the past 5 years. Noble Group was dropped from the Straits Times Index and downgraded by both equity analysts and credit ratingagencies. Noble Group’s high level of net debt resulting in restructuring. The estimate for 2016 is that pro-forma net debt ($2.4 billion considering NAES and rights issue proceeds) is 5.6 times EBITDA. Therefore, Noble Group is advancing on restructuring plans announced in early 2016. These involve selling of assets, pledging inventories to secure new debt, and more recently – share issuance. New debt and equity offer liquidity and solvency. As some banks had cutcredit facilities, and more trade counterparties required guarantee of Noble Group’s payment capacity, the group was in need of liquidity. To achieve this, Noble Group’s management arranged $3 billion in new debt financing: a $1 billion unsecured loan syndicated by 25 banks until May 2017, and a $2 billion revolving borrowing-base facility. Additionally, the group also announced the sale of its Noble Americas Energy Solutions (NAES), aiming for a minimum of $1 billion consideration. Employees also suggest that Noble Group is winding down its power and gas trading in Europe. To secure additional solvency and liquidity, Noble Group further organized a right share issuance for raising $500 million in July 2016. Unconfirmed by Noble Group, it also reportedly obtained a waiver on its debt covenant of net debt five times EBITDA. Divestment of assets may reduce debt but also operating profit. The planned sale of NEAS, announced on May 30, 2016 is part of Noble Group’s restructuring plan. Since NAES contributed 18% to Noble Group’s operating profit in 2015, the planned asset sale in Q4 2016 would reduce expected operating earnings by 4.5% in 2016 and 18% for 2017. The sale would potentially untie $1 billion in captured liquidity and reduce Noble Group’s debt level to $2.9 billion. Potential conflicts of interest exist between credit and equity investors. ING, HSBC, Morgan Stanley, DBS, and Société Générale, five of the 25 bank syndicate providing $1 billion May 2016 loan, have tried to minimize their risk exposure via underwriting Noble Group’s $500 million rights issue. HSBC and Morgan Stanley have also been engaged as consultants on the NAES divestment. The creditors can thus guarantee the recovery of their own stakes, but this may occur at the expense of the shareholders. Divestment of the relatively small palm oil business would have only a marginal effect… Noble Group also aims to sell its palm oil business, total land of 69,000 ha on the concessions PT Henrison Inti Persada and PT Pusaka Agro Lestari located in Papua, Indonesia. If the divestment is realized, this is expected to only have a minor financial impact on the company. With mature/productive palm oil land of estimated 6,000 ha, and annual palm oil capacity of more than 40,000 tons, the revenue contribution of the palm oils segment is estimated at 0.05% and the potential divestment of the palm business would thus only affect earning marginally. Indonesia has issued a moratorium banning development of primary forest and peat land for at least the upcoming 2 years with longer-term considerations discussed. Consequently, Noble Group could have to strand part of its palm land assets and face impairments. Noble Group values its palm oil business at $162 million, three times its acquisition value ($55 million), because it probably discounts future cash flows. However, from a third of the land no cash flows can be sourced. Further 29% of the land is secondary forest and peat, which could, conditionally and partly be developed, depending on varied regulations. The areas cleared and planted on both areas to date are estimated at 26,600 ha (14,000 ha developed at PT HIP and 12,000 ha opened up land at PT PAL) out of the total 69,000 ha. The 12,000 opened up land at PT PAL could supply enough fresh fruit bunches (FFB) to supply its future mill (miminum requirement is about 6,000 ha of productive palm trees). However, given costs of operation in Papua, profit margins might be compressed. This can impact its palm oil competitiveness and make for a difficult exit-strategy. As part of the land cannot be developed and because of expectations for below-average profitability in Papua, Noble Group’s total assets could be impaired by $50 million or 1.5% of total equity. Iceberg Research points to impairment risk related to Noble Group’scoal accounts receivable s with possible impairment 30% of the balance sheet coal value. Coal is the core part of Noble’s Energy segment, nesting mainly coal and oil liquids, and contributing nearly 80% of Noble’s revenue. If the receivables composition is similar, then half (assuming half is coal) of the 80% can be impaired by 30%. This calculates to 12% (30% x 40%) or estimated $350 million of receivables, negatively impacting Noble Group’s solvency position. Solvency Risk: $400 million? Thus in total, $400 million impairment could occur and may reduce balance sheet equity from $3.4 billion to $3 billion, or 12%. Sustainability risks related to palm business remain high. As shown in Figure 1 below, Noble Group’s subsidiaries, PT Henrison Inti Persada (32,000 ha) and PT Pusaka Agro Lestari (37,000 ha) were deforesting and clearing potential peat lands up to Q2 2016. In the period 2013-2015, Noble Group cleared 11,500 ha forest and peat or swamp. In 2016, Noble Group continued with plantation preparation of further 2,700 ha, including 1,000 ha of potential peat. Furthermore, the High Conservation Value (HCV) assessment of the land of PT Pusaka Agro Lestari (PT PAL) has also been discredited, as its plan failed to mention that the PT PAL concession is 90% forest covered, not 11% (as in the report). Noble Group was accused of disturbing a local river-based native community, with land development permits temporary suspended in 2015 as a result. Noble Plantation’s RSPO’s commitment plan was also deemed “unambitious”. Noble Group aims to achieve RSPO certification by late 2022. HSBC, a key banker to Noble Group, demands this by 2018. 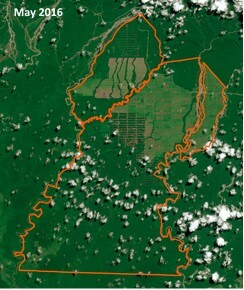 This and the above mentioned sustainability issues were enough for the Norwegian KLP Investment Funds to divest from Noble Group in June 2015, issuing a strong statement against the “unacceptable risk that the company is responsible for severe environmental damage as a result of its conversion of tropical forest into oil palm plantations”. 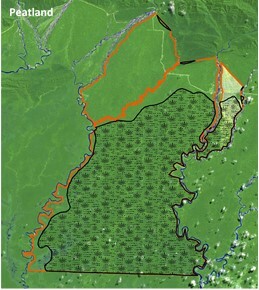 Figure 1: Noble Group’ subsidiary PT PAL deforests and drains out potential peatland. Source: Aidenvironment. In picture 1: potential peatland according to the Indonesian Peat Restoration Agency. Sustainability certification may not be accepted by market after deforestation. Noble Group plans to have its controversial 69,000 hectare landbank RSPO-certified by 2022. By that time, Noble Group could have deforested and drained peat in 33% of its landbank, and might be planning to obtain RSPO’s sustainability certificate afterwards. Such practices as knowingly deforesting land and then seeking RSPO certification are not acceptable to mainstream palm oil refiners/traders such as Musim Mas, which is a confirmed buyer of Noble Group. As seen in IOI Corporation’s case, IOI lost 27 customers over suspension of its RSPO certification because of environmental issues. These issues are relevant if Noble Group is not able to divest its pal oil business. Note that Noble Group values its palm oil assets at $162 million and might have to sell the assets at a loss in order to divest from its plantations. The bank syndicate who financed the $1 billion May 2016 loan is exposed to sustainability risk with financial repercussions for both the banks and Noble Group. Out of the 25 bank syndicate, 12 have committed to sustainability policies (see Appendix) binding them not to provide loans and underwriting services to companies contributing to adverse climate change. A possible repercussion for Noble Group is that it would have to find new sources of debt, as many of its syndicate loan banks could recognize their own policy violations and may cease dealings with Noble. Consequently, alternative banks or the same banks could increase lending costs. This may further raise Noble’s interest expenses. Out of this group of 12 banks, five are RSPO member banks. ING, ABN Amro, Rabobank, HSBC, and Citi are members of the RSPO. These banks jointly accounted for one-third of Noble’s $1 billion syndicated loan. 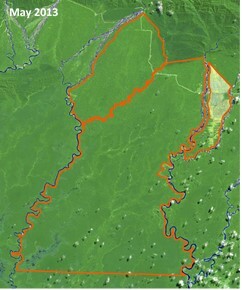 Because Noble Group’s clearing of the High Conservation Value riparian buffer zone is potentially eligible for a formal RSPO complaint procedure against Noble, its assessors and the banks may be involved. This could result in Noble Group losing existing banking relationships, and/or being charged higher lending costs by new financial institutions. Incurring fines for land clearance may contribute to liquidity problems. As the divestment of its palm oil business would be difficult, Noble Group may continue to deforest and drain potential peatland. This would be in violation of Indonesian peat moratorium, its lenders’ sustainability policies (see Appendix), and its own RSPO commitments. Reputation risk turns into material liquidity risk. The sustainability policies and RSPO commitments of 12 of the 25 banks in the $1 billion syndicate loan maturing May 2017 might create material issues in 2017. Additionally, refinancing of part of the remaining $1.4 billion loan could lead to liquidity constraints in 2016. Noble Group’s proposed restructuring, impairment issues, cost of debt and conflict of interest, and cost of capital represent four key concerns relevant to investors. Divestment: The forecast for Noble Group’s 2016 revenue is $46 billion. The figure is adjusted on the basis of 4.5% revenue reduction, assuming the successful divestment from NAES in Q4 2016 and the $55 million net loss posted for Q2 2016. Estimates for 2017 revenue rest on realizing the full 18% reduction of the NAES divestment. Operating profit will be affected negatively too by estimated circa US $100 million on full year basis in 2017 (and a quarter of this in 2016). Pro-forma debt estimates also rest on the assumption that NAES is divested from in Q4 2016. Impairment: Potential negative effect is $400 million on balance sheet equity. The impairment of coal receivables and palm oil plantation business could reduce balance sheet equity value $3,385 million by 12%. This has a negative impact on the group’s solvency ratios and for some banks or shareholders it might be a reason to become more cautions and raise the cost of capital. Cost of debt impact: conflict of interest, credit rating agencies’ downgrades and sustainability concerns. The prospect of the cost of debt are relatively negative. First, the conflict of interest between creditor banks issuing equity for Noble Group and consulting on the NAES divestment can be interpreted as the banks trying to minimize their risk exposure to Noble Group as swiftly as possible and recover their stakes first. This might occur at the expense of shareholders. Second, credit rating agencies’ downgrades have also reached a synthetic cost of debt level of 6.7%. Third, the conflicting sustainability policies of the Noble’s banks with Noble Group’s deforestation and potential peat clearance also suggest that borrowing costs for Noble can increase. This suggested that the consideration asked for the May 2016 $1 billion loan of LIBOR + 225 was too low, although 55 basis points higher than historical average. Higher costs of capital can drive lower net profit. If Noble Group is charged higher cost of debt over the medium term, increased interest expenses can reduce net profits by 8% or $12 million. As shown in Figure 2 below, this results in net profit estimate of $136 million for 2016 and $104 million for 2017. Further downgrades by analysts may occur. Currently, for 2016, 2017, and 2018, analyst consensus is $0.04 earnings per share on average. But after including higher costs of debt, estimated earnings per share are $0.01 for 2016, 2017, and 2018. According to Bloomberg, analyst average target price for Noble Group is $0.45 Singapore dollars. Likewise, according to Thomson Eikon, analyst average target price for Noble Group is $0.30 Singapore dollars. Adjusting for the concerns raised above, earnings per share in 2016, 2017, and 2018 may result in Noble Group’s share price trading lower than analyst expectations. Fair value calculation is difficult for a company in transition, including uncertain divestment proceeds as well as a volatile core business. Peat:Environmental and climate impacts of the development of peatland.